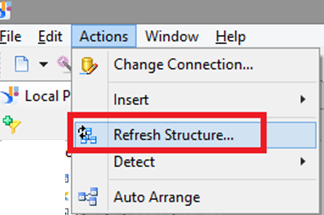 Suppose you have a Unx universe build on Oracle Database connection, and have a requirement to change the connection from Oracle to SQL. In this case, you need to manually perform steps on the universe and validate the objects, below blog describes these steps and impact of it on the universe. Export the Unx universe locally in a IDT project. Check mark Delimit and then browse in Owner option. 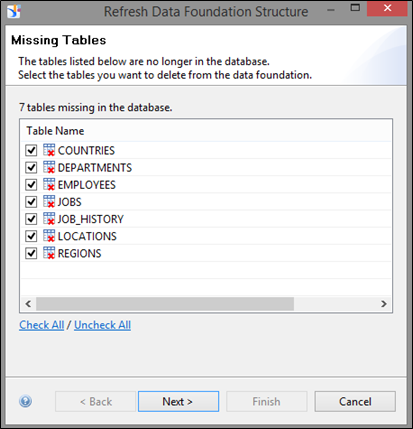 Select “dbo” and click on OK.
Repeat this steps for all the tables in the universe, then Refresh Structure, as below it shows that there are no missing tables and all tables have been mapped to the new SQL database. 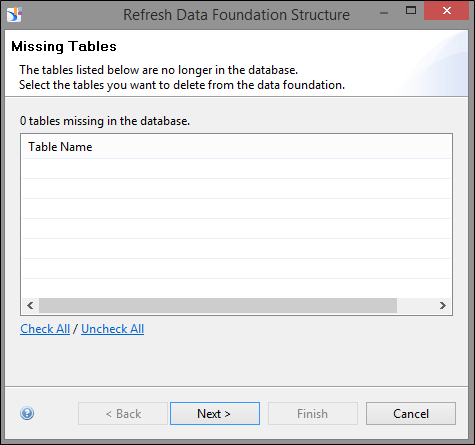 If there are identical columns in both Oracle and SQL database, no error would be prompted but if there is any column in Oracle which does not match SQL table then you will be prompted for deleting the table, similarly if there is an additional column in SQL table, you will prompted to add the new column. Then you might need to delete the EMAIL column by checking it. 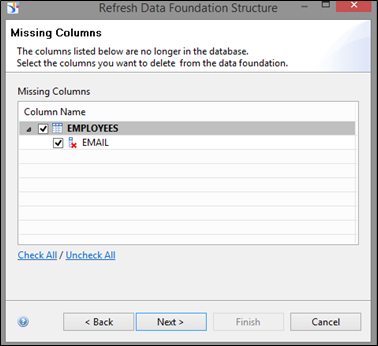 Finally, the refresh structure prompt will show a summary of columns added and deleted respectively. Save the project. 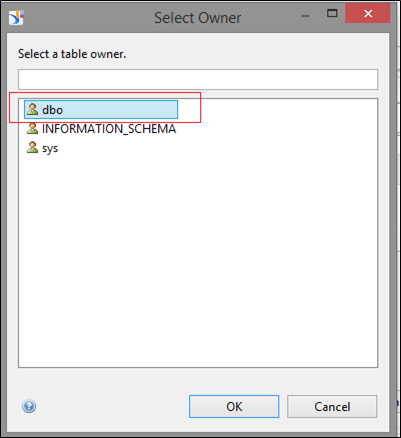 Go to Business Layer and Check Integrity for all the objects, joins and tables. From my observations, I have found that, there is Impact on Derived Tables, the definition of the Derived tales needs to be updated. 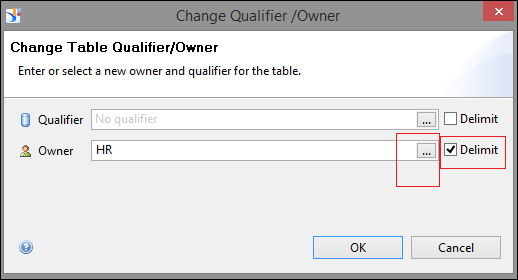 There is no impact on Alias tables, Joins, Loops, Traps, Dimensions, Measures, Filter definition after the change. These steps would be helpful if you do not want to change the CUID of the universe. As the CUID of the universe is not changed, the Webi Reports or Dashboards in the universe will not be impacted. Nice article. 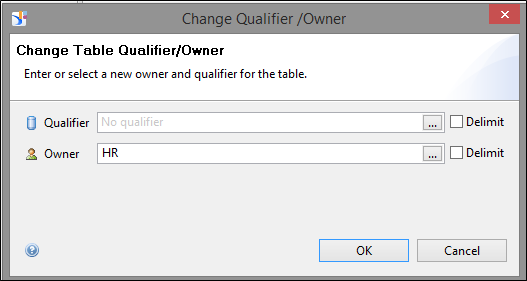 I’ve always wanted to change the universe connection from Oracle to SQL. Now, I’ll try to do it by following the above steps..Thanks for a very good KB artifact. I’d definitely recommend this to everyone. Superb article. I have not used this till now , but if this comes across as a requirement, I’ll surely give the above steps a try.